I love you more than anything else in the world. I like it when you are laughing and giggling because it makes me laugh and everybody else too. You’re my best brother and no-one can replace you ever. I don’t like it when you have a doctors appointment because Im afraid that you will go and I hope that it doesn’t happen soon because that will break my heart. I know that when you go God will look after you evermore, despite the way you are. No one will ever doubt who you are because you are the best. 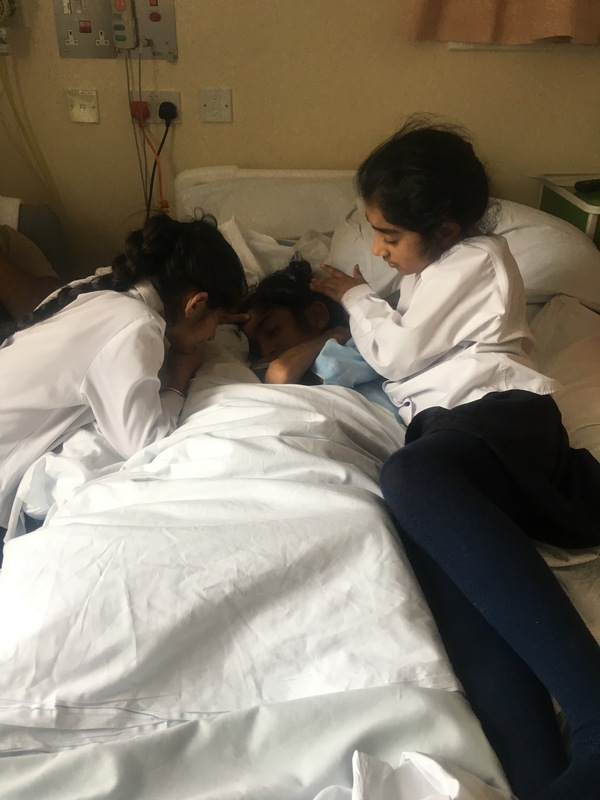 I cannot begin to describe to you how my heart shattered, more so when I looked at her (Simran) sleeping and realised that despite her seemingly peaceful face, her little brain had been consumed with sad thoughts and that her heart had been hurting for so long. 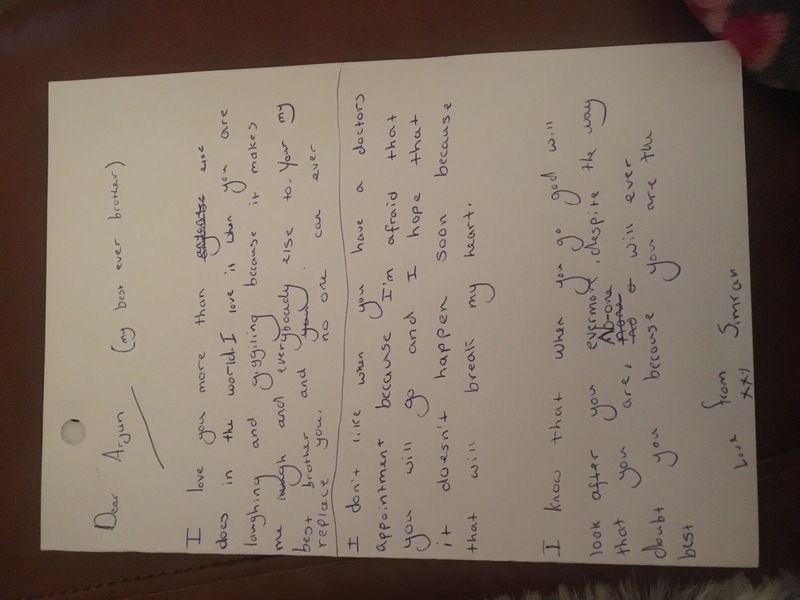 We have always been acutely aware of the impact Arjun has on the lives of both girls; no spontaneous walks or trips to the park, everything requiring methodical timely planning. Just like a newborn. They never vocalise anything negative or hurtful about their brothers impact, instead they only want him to be ‘better’. It is not always recognised that having a sibling with such severe additional needs affects the entire family, including brothers and sisters, and that we do not always have the support we require or indeed know where to turn to. Martin House Children’s Hospice has been our saviour as have their amazing grandparents, uncles and cousins. I cried when i read this. May waheguru bless your family and keep your spirits high.